If you use Instagram, Camera+, or many other photos apps, you are familiar with being able to apply ‘filters’ to your photographs on your iPad and iPhone. 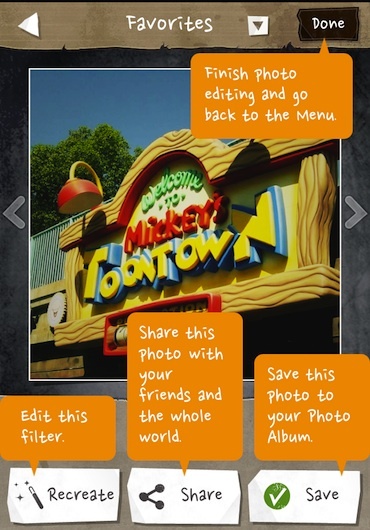 Some apps have as few as 5 filters, others with 20 or 30. You select your photo, choose a filter from their list, apply and review the outcome. If you don’t like it, you either adjust the image a bit in another app and re-apply the filter or choose another filter. 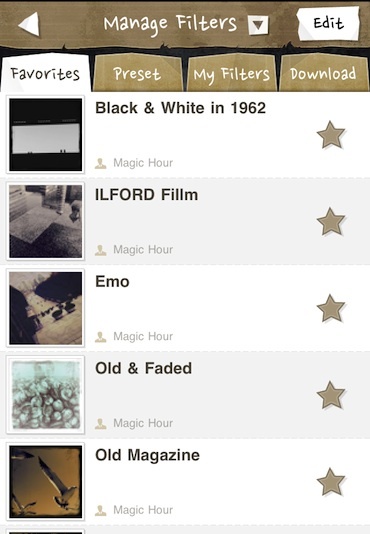 A new app to the group is Magic Hour, which starts with 40 filter options. Then, provides a long list of adjustments you can use to fine tune the output image. If you like the effect of the finished image, you can save the tuning you did as a ‘new’ filter. 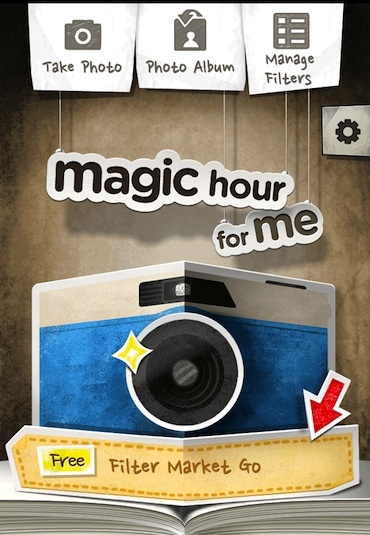 If you think others might be interested in using your creation, Magic Hour lets you post your filter up on their site for others to download and use. Magic Hour is not a universal app but is working fine for us on the iPad in the 2X mode. 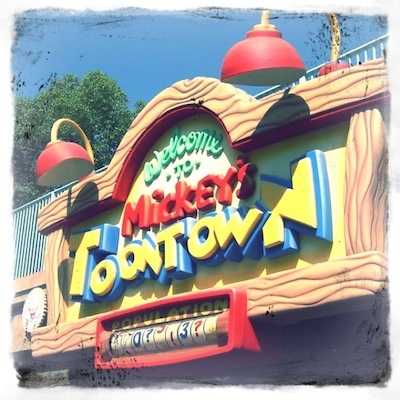 Like most photo editing apps, you can take pictures using Magic Hour if you have a iPad2 or choose an image from the Photos area to work with. 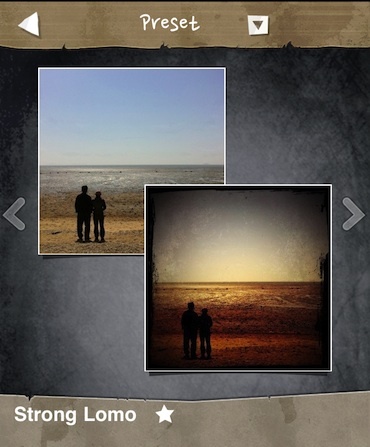 The image opens in a crop/size window so that your Magic Hour output image will be square. After choosing an image, your given access to the long list of standard filters to use. Via the tabs, you can jump to filters you may have created or view downloaded image filters other Magic Hour users have provided. Scroll through the list to find one to view. Selecting a Magic Hour image filter will give you a screen showing your original image and your images with the filter applied. You can return to the list, swipe left/right through the available filters or choose to use that filter. After choosing a Magic Hour filter, you can save the image with that filter applied, share the image out through a variety of Social Network services or choose ‘Recreate’ if you want to further tune the image. Tapping ‘Recreate’ not only allows you to better tune the image but the adjustments you make can be saved as a new filter to be applied quickly to other photos. This Magic Hour editing screen provides an ‘undo’, a ‘revert to unfiltered’, and a quick Black & White conversion button. Along the bottom of the screen is the image filter adjustment tools. Shown is the curves button where you can drag the curve around your image to alter coloring and highlighting features. 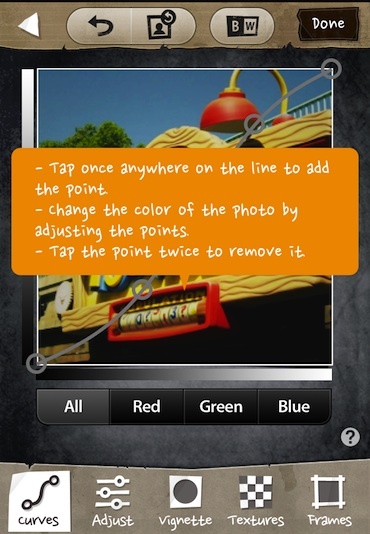 Other filter/image adjusters are for color balance, Vignette, Textures and Frames. 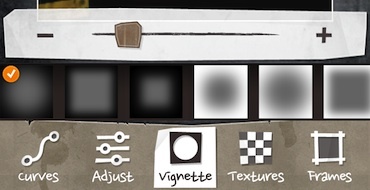 The Vignette option has a slider for intensity, shape of the shaded edge and if it is black or faded edging. The Magic Hour ‘Textures’ option is a variety of image masking that can be light to heavy depending on the look your going after. This is handy if your trying to make an image appear old, stylized or a bit used. When your done with the fine tuning, Magic Hour gives you the ability to save that group of adjustments as a new filter to make applying the effect to other images much quicker. 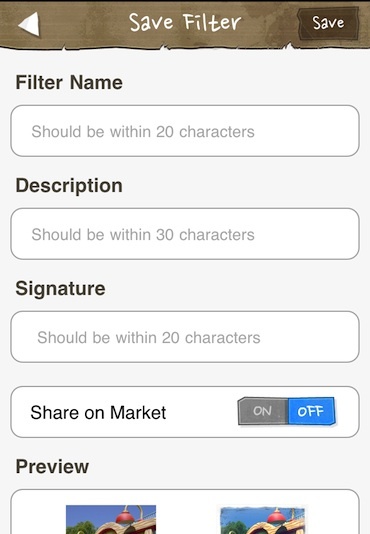 If you care to save or share the filter with others, your asked for your name and to name the filter. 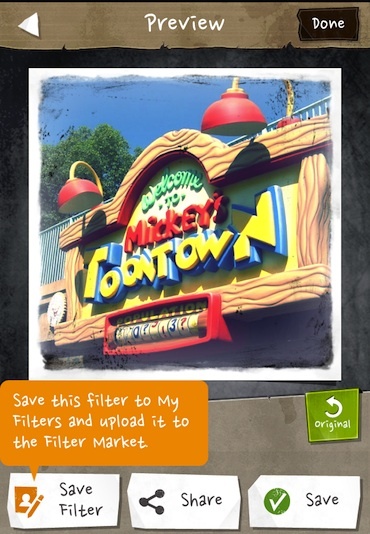 This new Magic Hour filter can be save only locally to your iPad or shared for others to download and used via the app running on other people’s iPad or iPhone. Notice that the before/after image that is shown to other users is created from the image you where just editing… make sure that isn’t private to you or your company as we have not seen a way to recall your shared filter. If your sharing images with filters applied directly from Magic Hour, you can pre-setup your particular social network systems. The below is available through the settings area on the first screen in Magic Hour. 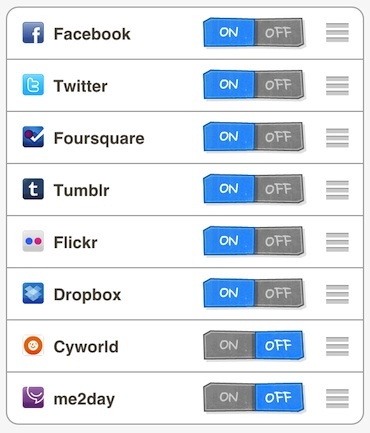 Choose which services you are using and the order they appear for quicker sharing image sharing later.